Image © Norman Day. Please do not reproduce without permission. 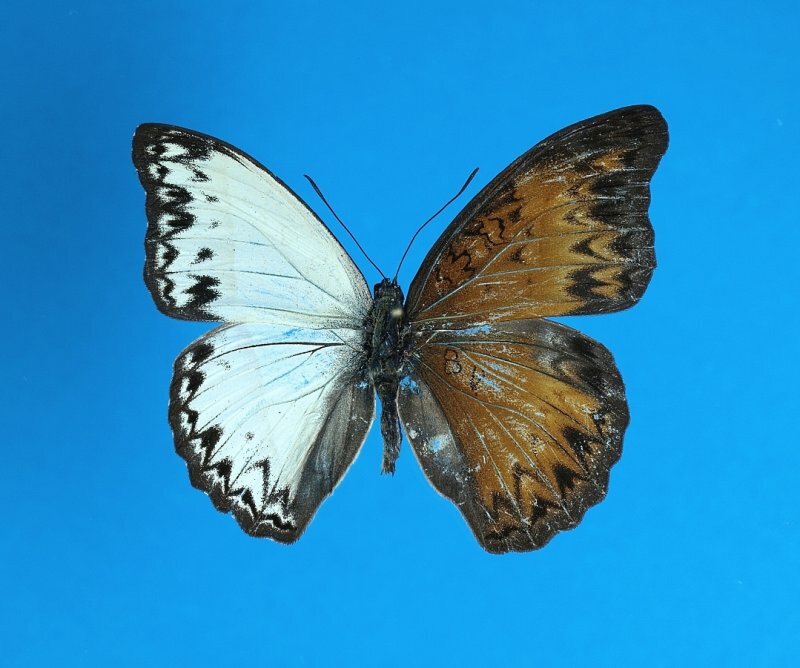 "It is a rather strange thing that Cymothoe seem more prone to sexual aberrations than nearly anything else – the African Butterfly Research Institute has a large number of perfect bilaterals and several boxes of various intersexes. There are so many that it is useful in matching males and females with geographical variation and difficult taxonomy". This specimen is from Mbale, Central African Republic. Wingspan = 58mm. Wow, what an amazing find this must have been!! Great shot! Ha ha - you are correct! This error occurs when you use OM (film slr) lenses on a fourthirds or microfourthirds camera, because there is no electronic link between camera and lens. don't think you can shoot a 50mm f3.5 lens at f1?